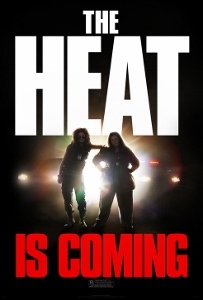 The plot of The Heat is disposable but the interplay between Sandra Bullock and Melissa McCarthy is perfect. Director Paul Feig chose this as his follow-up to Bridesmaids and, while it’s certainly lacking that film’s heartfelt relatability, it’s not hard to see why this became the summer’s most enduring comedy hit. At 117 minutes, The Heat’s pacing could’ve been tightened to make the funniest gags hit even harder. But Bullock and McCarthy display flawless timing, delivering a steady stream of laughs from first-time screenwriter Katie Dippold’s feminine twist on the buddy cop genre. Bullock has, of course, been funny on screen for at least 20 years now (Demolition Man was a breakout role for her in ’93). McCarthy’s hot streak continues (she starred in Identity Thief in spring and had an extended cameo in The Hangover Part III). If the pairing of these two isn’t enough to entice you, the labored story isn’t likely to pique much interest. FBI agent Sarah Ashburn (Bullock) is uptight and by-the-book. Shannon Mullins (McCarthy) is an uncouth, unrefined Boston cop. They find themselves working the same case, trying to catch an elusive drug lord named Larkin. For Shannon it’s personal. Her brother Jason (Michael Rappaport) has had involvement with Larkin’s people and may be in grave danger. Shannon’s loudmouth family (which includes Jane Curtin, utterly wasted in an underwritten role) blames her for having locked her own brother up to keep him out of the drug business. For Sarah, cracking the case is just another professional challenge. The odd couple clashes early on, but Sarah warms to Shannon’s looser style and before long they’re operating as an unstoppable team. Make no mistake, this is a two-woman show to the detriment of the supporting cast. Even Marlon Wayans, as another FBI agent in Sarah’s department, isn’t given anything funny to say or do. Smaller roles by MADtv’s Michael McDonald and SNL’s Taran Killam could’ve been handled by anyone. But the gags, including an improvised tracheotomy, are consistently inventive. The plot mechanics drag it down during the third act, but The Heat is funny stuff nonetheless.